Online security is always a matter of concern. You don’t know when you will get hacked, but what best you can do to avoid this is, take precautions. Things are getting simpler day by day but at the same time, it is also becoming difficult to be secure especially if you are online. I am sure you must have seen so many buzzes about hacking, sending threat mails, etc. every day. Some people do this intentionally, and you can’t stop this. What best you can do is, use something which can avoid such scenarios. Usually must of the attacks online happening these days are because you disclose your identity while surfing online. People come to know about your system IP, and they misuse this. But what if we Hide IP? Yes, this is the best thing we can do. This is a good practice not to show our real IP when we are online and instead show the world some dummy IP so that if they want to track or want to some unethical stuff, the request will be routed to the IP, which doesn’t exist and you will be safe. Hide All IP is one such product which helps you to keep yourself secured online by hiding your original IP. Hide All IP is a security software which allows you to browse the internet anonymously. No matter what you are doing on the internet, your real identity will never be revealed. Hide ALL IP also support almost any applications, include P2P TCP/UDP video player, TCP/UDP Games (Such as WOW, BF3, DNF, TANK OF WORLD, etc. ), can reduce game lag and hide game IP for play blocked country games. The tool encrypts all the incoming traffic so that your ISP and network administrators can't know what you are accessing. How IP Hiding Software works? If you are thinking how the tools like Hide All IP actually hide your original identity then here is the solution. What happens, these tools route the traffic to some secure server, and the fake IP that you see is the IP of that fake server. For example, if you are located in India and want your IP to be from the US then this tool will send all your traffic to a remote server located somewhere in the US. Here is the working method of Hide All IP. As you can see, whenever you are connected to the Internet, the tool connects you through some proxy server and show your identity as the identity of that server which is fake and so save you from ant attack. Hide All IP is one of the oldest player in the security market securing many individuals and organizations online. They have plenty of features available. Here are few major features of Hide All IP which will help you to be secure online. This feature helps you to hide your real identity which is the main purpose of this tool. There will be a list of countries, and you can select the one which you want as the fake online identity. Also, you can choose the option to either change your location dynamically or static. 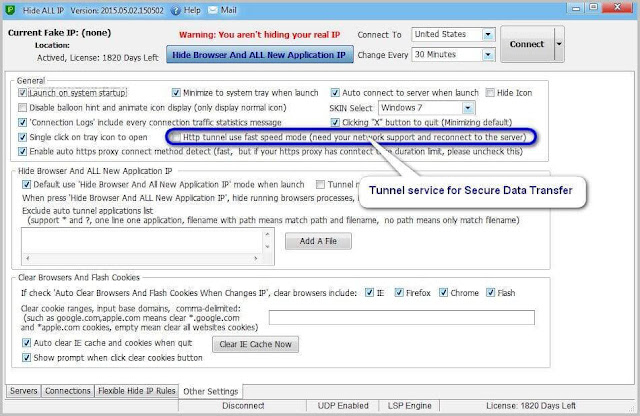 Unlike other IP hiding tool, Hide All IP has much more. It also helps you to encrypt all your outgoing data easily. If someone want to sniff your data also, they won’t find it in original form, and so you will be secured. Suppose if in your country some sites have been blocked due to some issues, you can access those sites by keeping the IP location in that country where that site is accessible. For example, some sites like Facebook, YouTube, etc. are banned in some countries and so you can access those sites by using Hide All IP. Are you a game lover? If yes, this is for you! Using this software, you can play games like DNF, League of Legends, Battle Field 3, StarCraft II, Tank of World, etc. without IP block problem. This application is really very helpful. What happens when you are connected to the internet all your system’s apps and folders are accessible. But if you don’t want some of those to be shown, then you can achieve those using this tool. This is another good feature with Hide All IP. They have servers in many countries, and so you have a wide variety of choice available to you. You can select the IP location from any of the below countries if you are using premium version. This is an advanced feature by the company. 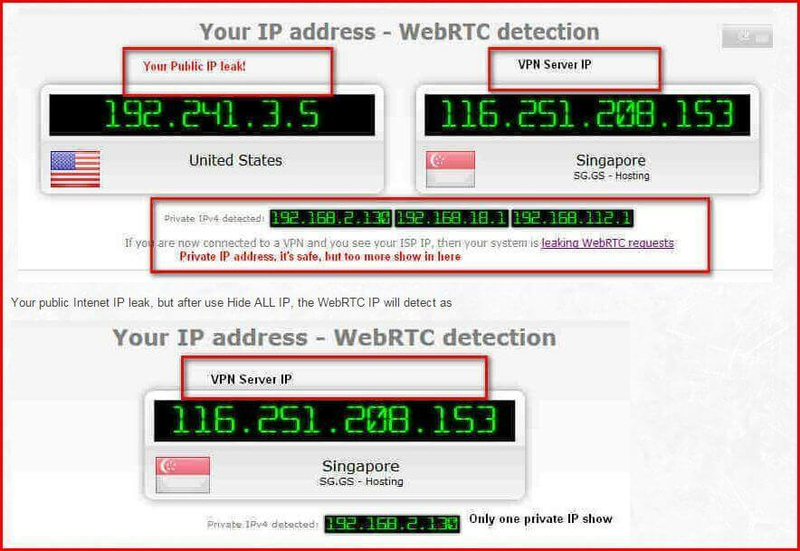 WebRTC IP Leak is a method by which you can know all the information about any VPN user. By this method, you can find real target information. This is the only method using which you can find the information about VPN users. But the good news is, if you are using Hide All IP then you are also protected from WebRTC IP leak. Whenever you browse to the internet, the website you are browsing put some cookie to your browser which has all the data of the session you were with that particular website like a number of times you visited, what you saw, where you clicked, etc. These data are later used by sites to offer you some product and make sell or showing ads etc. But by using this Hide All IP tool, you are completely safe. What happens if you have made the setting to change your IP every 60 seconds then the tool will clear the cache every 60 seconds securing your privacy and increasing security. With these many features, Hide All IP, is really one of the best Internet security tools. You can download Hide All IP software and check the features. But if you want full security, you should buy this tool. It just cost $29 per year, and you will be safe from any internet attack. IP hiding tools are becoming a necessity these days due to increased number of internet attacks. 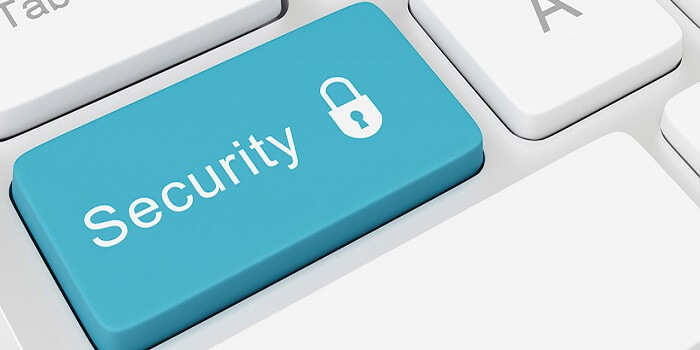 One must use some security precautions to be safe online. Hide All IP is an excellent tool which helps you to be secure just in $29 yearly. You should try this tool once. Which tool you use to keep yourself secure online?